It’s not the holiday season without orange and chocolate! 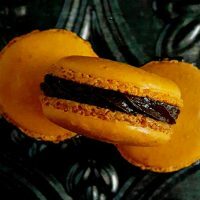 These Tangerine and Dark Chocolate Macaron are seriously crave-able! 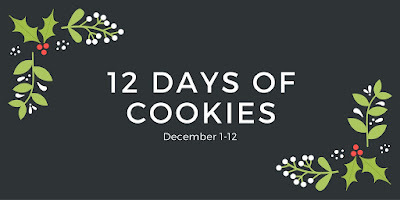 I’m back for more 12 days of cookies!! Of course, I couldn’t get through this event without making some macaron. I mean, any excuse to whip up a batch is a good one for me!! Then again, does anyone really need an excuse to make these? I didn’t think so. For me, it’s not Christmas without chocolate and orange something. It’s usually those chocolate balls that look like oranges. You know the ones, right? The orange that you have to smack on the counter to get the segments to separate. I can’t remember what they’re called, but they usually only appear for the holidays. It’s not Christmas without one of those and some chocolate covered cherries, but that’s for another day. Since I was craving that chocolate orange combination, I thought I’d turn it into a cookie! But this being 12 Days of Cookies it wasn’t just your standard orange. I had to make tangerine flavored macaron. However, I wasn’t sure, outside of orange extract, how I was going to infuse the shells with delicious tangerine flavor. So, I went to the web. My first go to is to see if there’s freeze dried tangerines. Luckily, I found one brand, but not in my area. The hubs always looks at me funny when I get something out of the norm in the mail; like a box of snack sized packages of freeze dried tangerines, pears, and apples. Yup. Those flavors will be coming soon, not to worry! The first thing I did was open the package and see what they tasted like. Just like I did with the freeze-dried cranberries for these macarons. There was decidedly some tangerine flavor there, but not as much as I’d hoped. A few drops of orange extract was in order to make sure they had that delicious tangerine flavor I was looking for. My husband has been surprising me lately with my food adventures. All this time he’s not liked the macaron. He’s not like anything citrus especially for dessert. To say I was shocked when he thought these were good is an understatement. I forget sometimes how sensitive his palate is to citrus foods. I tried one and thought it had a nice hint of orange flavor. He said it was more than a hint. I’m sure it’s just a hint. Or maybe my palate is getting dull. Does that happen? So, as fun as these cookies are to make, I have to say that I’ve tried a few different brands of almond meal. I’ve even tried to make my own almond meal. Don’t do this. It’s just not worth it. Do yourself a favor, and get some Bob’s Red Mill almond meal. It’s consistently reliable. I don’t have much waste during sifting, and well, it just has better flavor than all the other almond meals. It’s the only meal I use now. I had some already in my pantry to make these cookies with, but they did send me some more almond meal along with some other items to use in my baking. Even if they hadn’t sent me some to bake with, I’d still brag aboug their products. Their steel cut oatmeal alone convinced me to start looking for and using their products in everything I do. I can’t wait to bake with the bread flour I received and the low carb baking mix that I requsted to bake something for Dad. The products I have tried just tasted better. I could tell in the cookies I’ll be sharing tomorrow. Honestly. I could tell. Anyway. Do you enjoy the orange and chocolate confections that are usually around this time of year? If not, what’s your favorite flavor combination for the holidays? Maybe someone made a cookie with those flavors today. 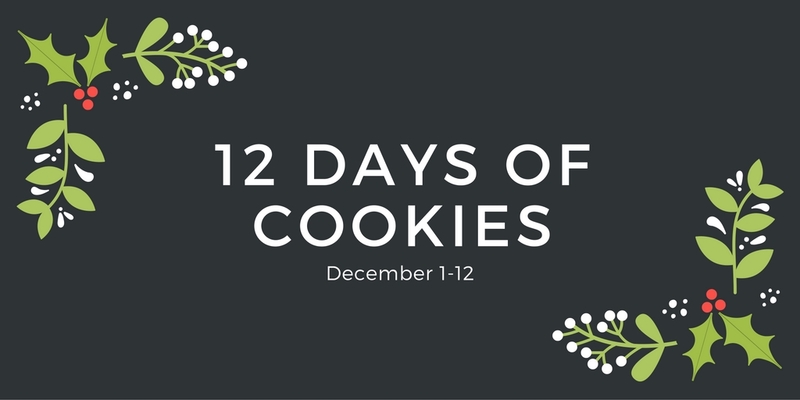 Make sure to scroll down and see what #ChristmasCookies are being served up today! It's not the holiday season without orange and chocolate! 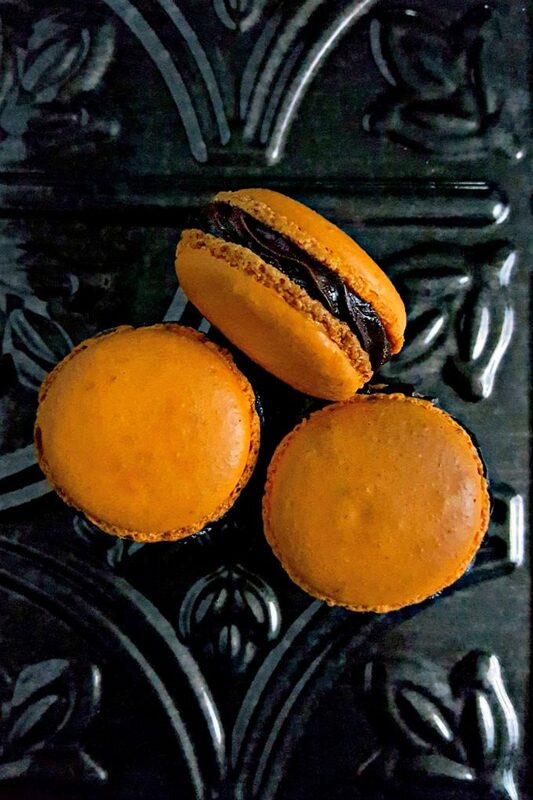 These Tangerine and Dark Chocolate Macaron are seriously crave-able! Pulse the powdered sugar, the almond flour, and the freeze-dried tangerine together in a food processor to form a fine powder. Sift three times into a large mixing bowl. Set aside. Place the chocolate and Cointreau into a microwave safe bowl. Heat on high one minute. Stir the chocolate. If there’s still large chunks, microwave on high at 30 second intervals, stirring in between, until all the chocolate is melted. Pour in the cream and stir until combined. Freeze dried tangerines are news to me. I bet they made a great addition to these beautiful cookies! My guy loves everything orange especially the color! I agree Bob’s Red Mill almond and hazelnut flours are the best! They were news to me, too! They’re pretty good, too! They’re meals are perfect for these cookies! I will definitely have to find the hazelnut meal for a different kind of macaron. I love those chocolate oranges too, Christie. I have never made macarons but this recipe is liable to change that. I hope you try them. I’ve followed these directions every time. The tricky part is the consistency of the macaronage. Since I don’t know what lava really looks like, to me, it’s like pouring lotion or condition. I love, love, love these! What a great idea and a festive flavor combo!! I wish I lived closer so I could steal one! Thank you! They did get a lot of attention from the coworkers. Definitely have to make them again, soon! These are absolutely beautiful! I am a huge fan of the orange-chocolate combo, but am the only one in my household who is. Crazy! That is crazy! Then again…I’m the only one in my house that loves it, too. One of my husbands favorite flavors is tangerine. I think he’d love these beautiful macarons. Great job! I sent the recipe to a macaron loving friend! Thank you! That reminds me! I need to share these with my macaron friend, too! Love the festive flavors in these! Thank you! The coworkers love them, too.